From the mini chic collection by GC, this elegant Swiss Made watch offers charming visuals coupled with reliable Swiss movement. With a stylish two coloured case making it the ideal watch for her everyday. 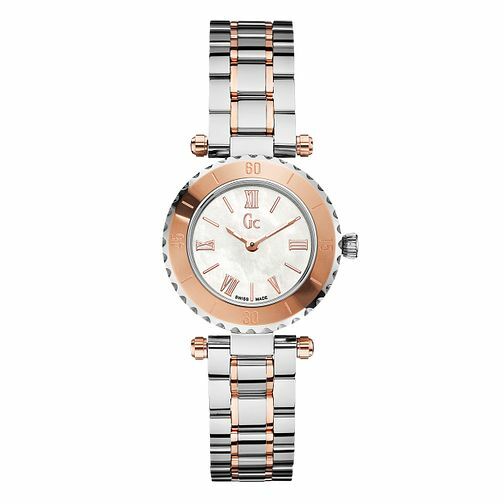 GC MiniChic Ladies' Two Colour Bracelet Watch is rated 5.0 out of 5 by 1. Rated 5 out of 5 by Anonymous from Fantastic Fabulous service and product was fabulous quality. Staff could not be more accommodating. Cannot wait to buy again.